BBC Wildlife magazine brings the beauty of nature to you. From wildlife to be found in your back garden, to the British countryside to the African plains, Buy a single copy or subscription to BBC Wildlife magazine. If you’re someone who likes nothing more than to stop and smell the roses, a BBC Wildlife magazine subscription is for you. 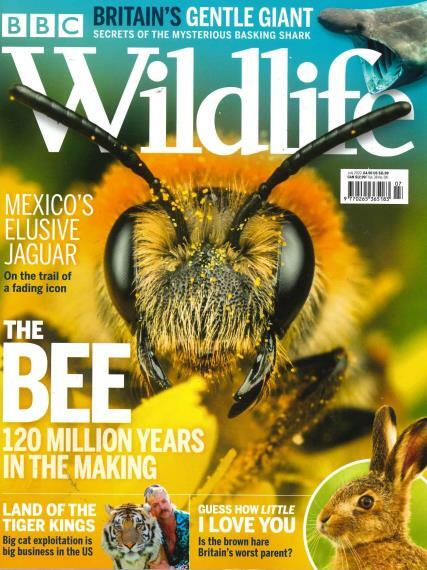 Comprising beautiful imagery alongside informative articles on the natural world, practical advice and insightful interviews with leading naturalists, BBC Wildlife magazine is your front stage pass to the natural world. From wildlife to be found in your back garden, to the British countryside to the African plains, it brings the beauty of nature to you. Alternatively, if you want to venture out to appreciate birds and animals first hand, you can find excellent travel articles covering days out, wildlife gardens and events. Boasting famous wildlife patrons on its advisory board including David Attenborough and Simon King, BBC Wildlife magazine really draws its content from the best. Providing thought-provoking articles on wider wildlife issues such as poaching and how habitats are changing, BBC Wildlife also has a popular ‘Big Question’ feature, articles on the likes of migration in line with each season and spotlight sections on individual species. A high quality magazine and always a good read.